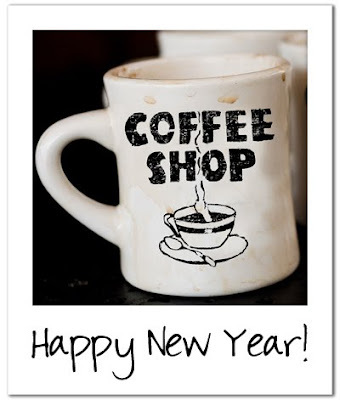 The CoffeeShop Blog: Happy New Year! I just wanted to wish you a Happy New Year! I am going to have a quiet one since Imp came down with the croup yesterday (first time we have had this in our family). His cough does sound just like a seal... Poor little baby. With the new year comes a new look for CoffeeShop... I probably should stick with something, but I have too much fun changing my blog. :-) And I needed a coffee-themed one for a change. I did it during the boys nap time as I was drinking coffee, go figure! I needed the caffeine, I was up most of the night. You haven't lived until you have watched the original Willy Wanka and the Chocolate Factory with a sick 2 year old at 3 in the morning. :-) Actually, that movie is great anytime/anywhere. I have a new action (it works in Photoshop CS and Photoshop Elements) coming out tomorrow, another creation by Johnna (her Tea Party) and I am sure you will love it. She is so incredibly talented and I am thrilled to be able to write actions for her amazing editing techniques. And I have so much more planned. Plenty of editing tutorials (including one for LightRoom! ), a few more actions, and some creative goodies. So what are your resolutions this year? My main one (other than more exercising of course!) is to start editing my photos for our photo albums. I am over a year behind. I was looking through some photos today and found this gem below. Nothing like jumping in the field in your underwear! Have fun tonight with the Blue Moon and your friends and family!!! And Happy New Year!!! Happy New Year to you Rita and your family! Happy New Year to you, too! You've made this year an amazing one for me. My new "website" & blog (designed by none other than YOU!) have intrigued my customers. Now, my phone won't stop ringing off the hook! I owe it all to you (& mostly God!) for renewing my business' image. Thanks again, Rita. Good luck & God bless you in the coming year! Happy New Year Rita! I hope the little one recovers soon! 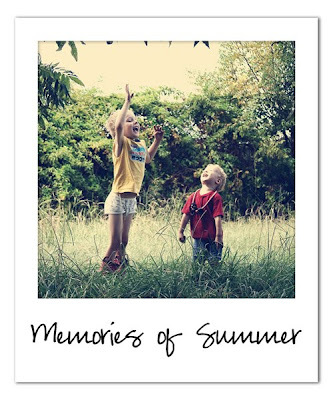 I'm looking forward to learning to use my PSE more with your assistance this year, your blog is da bomb! Best wishes for you and yours in the new coming year! Happy New Year to you too Rita! And let me take this opportunity to thank you again for all you do and your generosity! Happy New Year Rita! Looking forward to all the new goodies coming out, especially anything for Lightroom! Happy New Year Rita and Family!!! I am new to the CoffeeShop blog. My granddaughter's kindergarten teacher told me about it. Santa brought me PSE 8 and I have been on the CoffeeShop site daily downloading ad installing all the goodies. Thanks so much for sharing them. I do hope little Imp gets to feeling better soon. If it is the simular bug that is going around here in TN, it is a cough that will last a couple of weeks, bless his little heart. I know all about the late night movies with a sick child. The past several weeks my granddaughter has been sick and up late curled up in my lap. Hope Imp gets over this quickly. Blessing, Hugs and Happy New Year!!! Happy New Year Rita - hope Imp starts feeling better soon. I love the new look :) It's fab! Happy New YEar to you!! Hope your little guy is feeling better soon! We always like to watch Mary Poppins when we have a middle of the night sickie :) Thanks for all you share. Rita, I hope Imp is feeling better. Happy New Year to you and yours. I love your blog and all you do. And so, I've given you a blog award to say thank you for all your hard work and generosity. I know it's nothing tangible, and I'm not important, but I wanted you to know that you're appreciated. Have a wonderful 2010! You are so talented & I just adore all of your actions. It is amazing how creative you are and that you make time for doing all of theese great actions for us photographers. I´m also a mom, 2 boys, 3 & 5 years, so I know how hard it is to both be a mom and work! Keep up the great work and I really look forward to following you and Coffee Shop in 2010! Happy New year and best wishes from Stockholm, Sweden. /Isabelle Hesselberg from 2 Brides Photography. I love the new blog look!